For years BuddyPress was tied to a specific theme and creating a custom theme had a steep learning curve. Many just used the default theme not pushing the boundaries of what could be done. BuddyPress now has theme independence and with this comes the chance to push ahead BuddyPress design. Lets ban the bland and start thinking about how we can innovate not just about how we create a theme. I’ll encourage in this talk to look beyond the default, to new UI’s, new possibilities, to design for the community not to the default. I’ll also give some consideration to what the ‘new default’ should be that BuddyPress offers up when you load it. Tammie Lister is a designer who specialises in creating communities using BuddyPress. She’s passionate about community design and mixing in psychology with design and development to create these communities. Over the years she’s been lucky enough to create varied projects with great clients under her own company at logicalbinary.com. She is a contributor to BuddyPress and has written a soon to be published book on BuddyPress theme development. Keen to explore new design possibilities, she has a sketchbook site exploring BuddyPress UI’s at buddydesignlabs.com. It’s been ten years since the first release of WordPress, and even longer since its predecessor, b2, caught the eye of a small group of bloggers. Thousands of lines of code have been written, hundreds of hours have been spent in online discussions, and many, many itches have been scratched. This presentation is the story of the itch. It will travel back through time to trace the itch, from the very first scratcher, to the people who caught the itch, until it became contagious and hundreds of people were scratching furiously and somehow they solved a problem for millions of people all over the world. Siobhan McKeown is a Word Ninja at Audrey Capital where she writes about WordPress, deals with documentation, and has nightmares about the Codex. She’s currently working on an open source book about the history of WordPress. She spends her days delving into the brains of its early developers and community members. When she’s not worrying about the finer details of forking and the GPL, she’s helping out with the project’s future by wrangling WordPress’ documentation. In her spare time, she writes and edits for Smashing Magazine, eats, reads, and creates huge amounts of mess and chaos. It’s time that your WordPress coding and deployment practices moved beyond manual backups and editing files on the server. You need a workflow that is ordered towards minimizing and recovering from mistakes, rather than one that embarasses you and makes changes stressful. This talk will examine the pitfalls of “winging it” when it comes to changing and deploying code, and will showcase multiple paths to the promised land of confident commits and delightful deploys. Mark Jaquith has been working with and contributing to WordPress since 2004. He is one of the lead developers of the WordPress core and offers freelance WordPress consulting services through Covered Web Services with a focus on scaling, security, and custom functionality. Mark likes patches that have more red than green, and his favorite WordPress features are the ones that you’re not even aware of. So often, we think the first steps in setting up a new WordPress site are to install WordPress, choose a theme, and start writing. But the secret first step to a successful site is planning. When you’ve mapped out the crucial 5 W’s and 1 H, you can focus on what’s important, avoid procrastination, and dodge mistakes that can be hard to recover from later on. Learn how to get it right the first time by witnessing six examples of total wins and epic fails. Natalie MacLees is a front-end web developer and UI designer and is founder + principal of the interactive agency, Purple Pen Productions. In 2012 she published jQuery for Designers with Packt Publishing. She founded and runs the jQuery LA Users’ Group and together with Noel Saw she heads up theSouthern California WordPress User’s Group, organizing WordPress meetups, help sessions, and workshops. She’s currently has two big events in the works: WordCamp Los Angeles 2013 and the first annual Website Weekend LA. She makes her online home at nataliemac.com. Writing code is building a user experience, where the user is the developer, who is reading the code. There are rarely two programmers who have the same opinion on what is clean and readable code. User experience, however, has longer history and more established and widely adopted practices. In order for their code to be usable, developers need to take the same things in consideration as user experience designers. Nikolay is a long-time WordPress core contributor, lives in Bulgaria, works for Automattic, blogs at extrapolate.me, and has a bear. You’ve read Kristina Halvorson’s book. You know you need a content strategy. Using examples from my experiences working with university departments (which Steve Krug calls “content factories”), I’ll show you how you can manage the complete content lifecycle in WordPress using plugins that are available on Extend right now. Stephanie Leary is a freelance web consultant specializing in WordPress sites for the higher education and publishing industries. She has contributed more than a dozen plugins to the WordPress community. She is the author of Beginning WordPress 3 (2010) and WordPress for Web Developers (2013). An inspirational talk about the beautiful and amazing future of WordPress themes. My aim is to excite the imagination and passion of WordPress themers while encouraging the next generation of themers to take a stab at theming through stories of my own experiences. I want to convince the world that they can help build WordPress while making the world a more beautiful and exciting place through theming. Ian is Theme Wrangler in-chief at Automattic where they make amazing WordPress themes for your blog. While building a site for a fictitious event, learn how to add variety by using plugins to easily create columns, display information in tabs, add social media buttons, generate contact forms, and lots more – all without manually coding anything! Kathryn thrives on helping people get the most out of WordPress. After a career designing and building websites for clients, she now supports WordPress.com users around the world as an Automattic Happiness Engineer. She enjoys spreading her passion for WordPress at WordCamps, Girl Geek Dinners, Podcamps, and other grassroots events. Non-WordPress hours are spent collecting vintage Pyrex mixing bowls, growing organic garlic, and cavorting with her three cats. Theme developers tend to overlook some of the APIs, principles and WordPress best practices. This talk covers a few of them in detail, and includes the reasons behind each one. Konstantin Kovshenin is a Code Wrangler at Automattic, passionate about all things WordPress and especially themes. He works from home in Moscow, where he leads the monthly WordPress meetups and is co-organizing the very first WordCamp Russia. During his free time, Konstantin writes regular expressions. Do you think tapping into “advanced” WordPress functionality is only for developers? Anyone can build a site that takes advantage of all that WordPress has to offer. Learn about Templates, Custom Post Types, Custom Taxonomies, The Loop, Hooks, Actions & Filters and how power users and designers can use them to build a great site with custom functionality. Tracy Levesque is a co-owner of YIKES, Inc., a Philadelphia web design and development shop. She has been designing websites since 1996 and working with WordPress since 2006. She spends her days building custom themes for WordPress and seeing how much functionality she can add without knowing PHP. When not wrangling HTML and CSS, Tracy rides bikes, drinks coffee, eats sushi, chases her 6 year old daughter and takes pictures of abandoned buildings. But what happens after the first bit of HTML and CSS is on the page? What if plan A doesn’t work? HTML/CSS can be fickle, so it’s important to know 2 (or even 3) ways to accomplish the task at hand. This session will be a quick overview of the history of responsive web design, as well as uncovering a plan B, C, and maybe D for your responsive layout. Josh is a front-end developer, user experience design lead, WordPress themer, and conference speaker. During the day (and most nights, too), you’ll find him building responsive sites for VistaComm’s biggest clients and as the front-end developer of kidblog.org, where they’re re-imagining what an education-centric social network and blogging platform can do for teachers and students. Too many people see Multisite as a silver bullet that can do everything they need, only to find out they’ve bitten off more than they can chew, and now they have a site that is too big, too complicated, and too much of a hassle. Understanding what Multisite does out of the box, what it’s best at, and where it’s easily extendable will help you build the right site. Mika Ariela Epstein is better known as Ipstenu, the Half-Elf Support Rogue. Working for DreamHost, she solves any WordPress problem that comes up, and still finds time to slash unanswered WordPress.org forum threads by night and wrangle plugins by day. You’ve just built a great theme, but how can you get more people to use it? All the steps you’ll need to follow to get your brand new theme internationalized and localized. If gettext, Poedit, POT files GlotPress, all seem like a foreign language to you, this session will change that. Prerequisites: Good knowledge of WordPress themes. Shannon Smith is the founder of Café Noir Design, a boutique Montreal web design studio specializing in multilingual web development. She builds beautiful, functional websites that her clients can update themselves and that are easy for search engines to find. She supports things like making the web accessible for everyone, using open source software, helping organizations find greener more sustainable ways to operate through online technology and helping non-profits with online community organizing. She’s also a sewist and mother of four. The Washington Post used a user-centered design philosophy to radically shift our development process to launch dozens of successful new blogs, platforms and tools in the past year. This philosophy is the reason why we use WordPress. In this talk, we’ll explore the importance of empathy, brainstorming, rapid prototyping, testing and iterating and how to incorporate these methods to build better products, faster. Yuri Victor builds to make the world smile. After working with hundreds of newspapers in almost every role, even rolling 600 pounds of paper around the pressroom, he landed as the director of user experience at The Washington Post. His desk is covered in coffee, stickies and sharpies. He ( secretly ) hearts you. Unit testing changed the way I write, architect, and debug code. In this session, I’ll tell you why I’ve fallen in love with unit testing, and hopefully inspire you to do the same. Alison has been working with WordPress since 2007. She did agency work for several years, building highly customized sites for businesses large and small. She now works as a Code Wrangler at Automattic. P2 from Automattic is an atypical theme that works for longer posts but really lends itself to quick updates, inline commenting, and real-time communication. In this session, see how a P2-powered internal blog has improved staff communication and cohesion at UCSF resulting in a much better user experience for the researchers and students we support. Michele Mizejewski is the Web Initiatives lead for the library at UC, San Francisco where she is an advocate for user experience. She believes that software and web sites should be visually pleasing, simple, and fun to use.As a WordPress fan from the beginning, Michele has employed it to solve problems in a variety of situations including harnessing internal communications, augmenting online courses, building portfolios, and oh yeah, for a bunch of blogs too. Michele has a penchant for the eclectic, and when not curating, creating, or consuming web content, she can be found drinking a cortado and seeking narratives. A widely recognized best-practice in web development is to keep JS and CSS to a minimum. This means combining multiple files into a single download and minifying the file so it loads quickly. Grunt is a local development tool that helps optimize and streamline this workflow, empowering developers and designers to focus on what they do best. Attendees will be introduced to various CSS and JS best practices, and to a workflow that uses Grunt to automate the nitty-gritty details of preparing a theme or plugin for release. He has been building websites of all shapes and sizes for the better part of a decade and continues to experiment with new technologies and techniques. Way back in 2009, Automattic released the P2 theme, which has been used to power most of our communications and collaboration since then. A lot has changed in WordPress, in themeing, and in wider web application development in the intervening years. We’re currently deep into the process of building the next generation of P2, which we’re calling o2. Learn about what’s different, what’s new, what works and what doesn’t. Hear about some of our plans for the future, and how we’re morphing WordPress from its server-side roots into powering a dynamic, flexible, front-end heavy web application. Currently residing in Brooklyn, New York, Beau is a seasoned web developer who hails all the way from Western Australia originally. With over 15 years of experience, he’s been working primarily with WordPress for around 5 years. In his last 4 years at Automattic he has worked on Gravatar, IntenseDebate, WordPress.com and more. He is now the lead of Team Social. Under the moniker “mdawaffe”, Mike has been a member of the WordPress community since 2004 and a Contributing Developer since 2006. He works at Automattic doing mostly back-end development and security. A anecdotal overview of the pitfalls a technical person may encounter when working with non-technical stakeholder, whether that be clients or colleagues. Among other things the talk would likely cover how to identify a stakeholders true knowledge, actions to avoid, actions to take, and some fun stories of my biggest failures. The target audience is likely semi- to fully-technical designers, developers, or business owners working with clients or teams that are not fully technical. Grant is a Seattle based front end developer and project manager with half a decade of experience working exclusively with WordPress as a CMS for his clients. Grant began his career as a freelancer building small WordPress sites, and has since led a variety of teams responsible for large WordPress projects for mid to enterprise sized clients around the world, including a hand full of fortune 500s. A bit of a neophile, Grant’s passions include usability, marathon running, busking, and feverishly denying he grew up in the Midwest. Reach out and chat with Grant on Twitter, @grantlandram or read more online at blog.grantlandram.com. Through shows of hands, 2/3 of the audience participates in WordPress core at some level: development, plugins, themes, etc. Learn how using the command line can change your WordPress development life. Does updating all your plugins by running “wp plugin update–all” sound too good to be true? Enter wp-cli, an open source WordPress management tool. Learn how to install it locally or globally on your host, perform common WordPress administration tasks, and expand its functionality with plugins of your own. Mike Schroder, known as Shredder to most of his colleagues, is a cross-cultural kid, coffee-drinking sailor, and lover of Open Source. As a developer at DreamHost, he works on projects like DreamPress, while also contributing to the WordPress core and community projects including WP-CLI. You can find him blogging on various geeky things at http://www.getsource.net. Learn how building genuine relationships and contributing to the WordPress community can strengthen your business and elevate your reputation. Instead of working against your competitors, creatively find ways to collaborate with them and sharpen your offerings. You’ll be surprised at the ways your business will grow. Carrie Dils is a freelance WordPress consultant and Genesis developer. She preaches a hefty dose of great customer service and believes in collaboration within the WordPress community. She blogs regularly at carriedils.com. When she’s not making websites, she’s probably running, reading a book, petting a dog, or eating tasty food with her husband. Over time, the WordPress admin has grown in complexity as the software itself has become more powerful and features have been added. While I also believe that we can address that in core, clients will always be best served by evaluating their specific workflow needs and custom tailoring the admin to fit. I will explore some case studies to give an overview of what they needed and what we did to give them their own WordPress-powered content publishing experience. Helen Hou-Sandi is the Director of User Interface Engineering at 10up, working closely with the team and the WordPress project at large to create high-quality content management experiences. She also works on 10up’s internal projects and initiatives and is a guest committer to WordPress core. When she’s not developing with WordPress, Helen can be found playing piano or exploring Jersey City with her husband and son. Since May 22, 2004, WordPress users have enjoyed the ability to customize their sites with a beautiful bevy of plugins. Of the 25k plugins currently available for download in the WordPress.org Plugins repository, BuddyPress and bbPress are perhaps the two with the most far reaching goals; to transform a site into a bustling community with just a few clicks. In this session, I’ll be showcasing some of my favorite BuddyPress and bbPress installations. I’ll explain what makes them great, why I think they’ve succeeded, and provide tips and tricks you can implement to take your BuddyPress and bbPress powered site far beyond the blog. 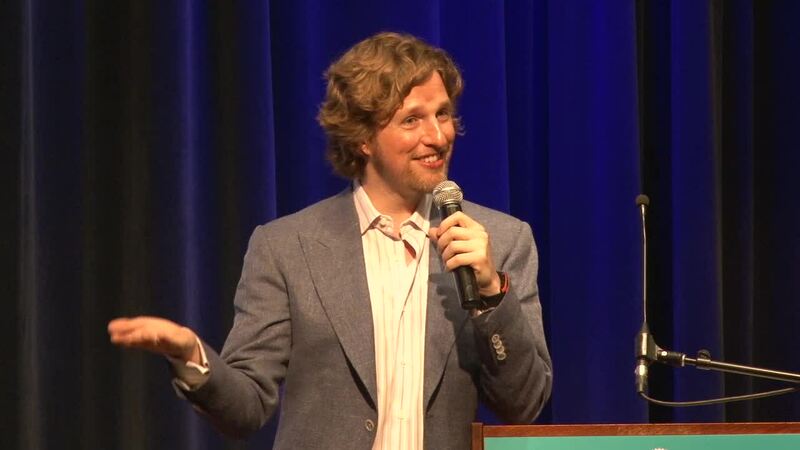 Master of Alliteration at Automattic. Vince Glortho of WordPress.com VIP. Bee Keeper of BuddyPress and bbPress. Father and friend to Paul the Puppy. Cutter of Records; Shifter of Gears. The panel, moderated by Matt Mullenweg, will explore what it means to break the 1 man freelancer barrier and the challenges of building an agency in the WordPress ecosystem. Topics will include first hire/hiring/management, managing a team, business models (distributed vs. brick and mortar, contractors vs. full time employees), challenges with WordPress at a larger scale, and the economics of bigger teams in an ecosystem filled with freelancers. Jake Goldman is President of 10up, a full service web agency that imagines, builds, and grows amazing websites with WordPress.10up serves brand name clients like TechCrunch, Consumer Reports, NBC Universal Sports, Trulia, Juicy Couture, and Bates College. Over the past 5 years, Jake has been a writer and expert reviewer for Smashing Magazine, taught WordPress at Boston University, and spoke at dozens of conferences around the country. He is a core contributor to WordPress and maintains some of the highest rated plug-ins on the official repository, downloaded over 500,000 times. I am a founding developer of WordPress, the Open Source software used by over 18% of the web, including this site. The website says WordPress is “a state-of-the-art semantic personal publishing platform” but more importantly WordPress is a part of who I am. Like eating, breathing, music, I can’t not work on WordPress. The project touches a lot of people, something I’ve recently begun to appreciate. I consider myself very lucky to be able to work on something I love so much. Shane is a partner at Modern Tribe Inc. and leads indie teams in UX/UI, web, mobile & product design. He’s spoken at SXSW, HOW, GigaOm’s Future of Work, and of course other WordCamps. He also has contributed on the topic of remote work & freelancing to Mashable, A List Apart, GigaOm, Smashing Mag, CodePoet, Elance, FreelanceSwitch & Copyblogger. Brad is the co-founder of WebDevStudios.com, a co-host on the DradCast podcast, and the co-author of Professional WordPress (1E & 2E) and Professional WordPress Plugin Development. Brad is also one of the organizers of the Philadelphia WordPress Meetup Group and WordCamp Philly. An original contributor to the WordPress project, Alex has created dozens of popular WordPress plugins and themes. user experience, development and web application architecture. In 2003 he moved from the Bay Area to Denver, CO where he founded Crowd Favorite, a preeminent WordPress and web development firm. Crowd Favorite is proud to have pioneered drag-and-drop page layouts for WordPress with Carrington Build and to have solved WordPress content deployment with RAMP. Previously, Alex co-founded FeedLounge and created ShareThis and the share icon. The greatest job in the world is the one where you get paid to do what you love. But even in the best situation, your job or school studies often won’t allow you to explore everything you want to learn, or tackle every problem you want to solve. Contributing to open source projects provides an opportunity to try new things with a level of freedom and focus you won’t find anywhere else. This session will explore what led me to start contributing to WordPress for Android, and why I think it’s such an important project, both to me personally and as part of the larger WordPress family. Will Norris is an engineer in Google’s Open Source Programs Office, helping to keep open source software flowing in and out of Google. He has been involved with WordPress since 2007, contributing plugins and core patches mostly related to authentication and distributed social networking. After spending several years on rather ambitious social networking projects, he now focuses on issues of data ownership for a decidedly smaller audience. Most recently he has worked with the WordPress Mobile team as an external contributor on WordPress for Android. At first glance, the WordPress roles and capabilities system is simple. Users have roles, roles have capabilities, and plugins can make simple changes to them. Not quite: You’ve been doing it the hard way. A deeper look inside the API reveals a surprising amount of flexibility, including the single most powerful (and dangerous) filter in WordPress. In this talk, you’ll learn how capabilities are “mapped” to other capabilities, and what the difference between primitive and meta capabilities means for your plugins and custom post types. We’ll explore the true hidden powers of the API, like using capability mapping to selectively grant and revoke privileges on the fly, making complex user management more maintainable. Andrew Nacin is a lead developer of WordPress, squashing bugs, wrangling contributions, and spearheading new development. He has strong feelings about the core philosophies of WordPress, among them “decisions, not options” — software should be opinionated in lieu of burdening the user with too many options. He works for WordPress founder Matt Mullenweg at Audrey Capital, where he is primarily tasked with working on WordPress core and keeping the lights on at WordPress.org. He resides in downtown Washington, D.C., with his wife. You can follow him on Twitter at @nacin. Every open-source project is built on a community of passionate users and contributors, and WordPress is no exception. But many would-be contributors aren’t sure where to start, or even if they’re qualified to try. Every one of our hundreds of contributors started as an ordinary WordPress fan who was driven to give something back to the project. In this session, I’ll introduce you to some of the ways you can get involved with the community no matter what your interests or skills. You’ll hear the stories of some of the WordPress community’s stars (and hidden gems), and get concrete tips on how to develop your skills to contribute more in the future. Getting involved with the community is the best way I know to increase your WP skills, grow your network, and give something back to the WP world. This session is intended for anyone who knows and loves WordPress, but who isn’t sure how to take the next step. Amy Hendrix has been building websites since 1996, and working with WordPress since 2008. She is a freelance plugin and theme developer, a WP core contributor, and an all-around open-source enthusiast. If you’ve spent any time at all talking to her, she’s probably already tried to talk you into contributing. Amy lives in Durham, NC, where she splits her non-internet time between fencing and the never-ending search for the perfect beer/cheese pairing. 11-6ish: (Optional) Contributor Day: If you wish to volunteer and contribute to WordPress core code/documentation/support/etc sprints at Automattic’s office, please RSVP by July 11. Contributor Day attendees, please be ready to be put to work contributing to the WordPress project. Odd numbered sessions By are wholesale mlb jerseys intended for DEVELOPERS cheap nfl jerseys & DESIGNERS. Even numbered sessions wholesale mlb jerseys are cheap jerseys intended of for USERS & Good ENTREPRENEURS. 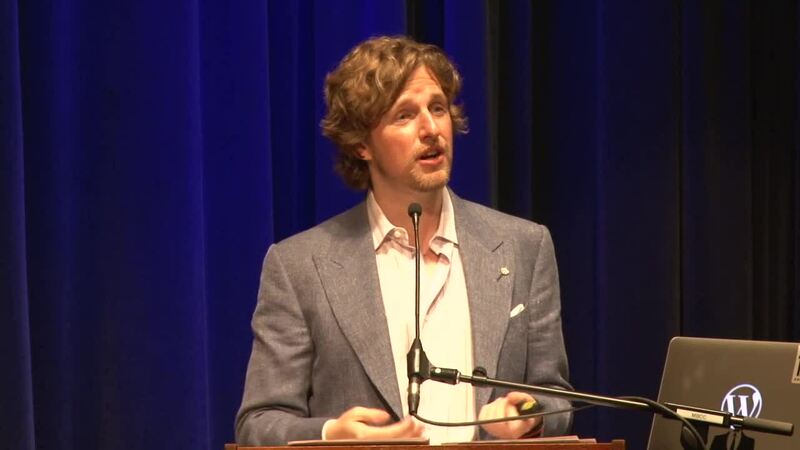 The buzz this week seems most about that event in San Francisco which attracts scores of Bay Area WordPress enthusiasts to hear Matt Mullenweg, founding developer of WordPress, explain to us “The State of The Word”. Let’s expound on that at this meetup. And we’ll talk technical, too. Survey 1: Macintosh, Windows, Unix? Survey 2: Freelance, Startup Team Member, Corporate Employee? Survey 3: Beginner, Intermediate, Advanced? Write & post, categorize & tag, fresh content, from time to time. Content consists of text, photos, and/or audio/visual media. Host a CMS* website on server of own choosing. Unlimited Customization, access to code. Maintenance is your own Responsibility! Tell us about your experience with WordPress so far. Where do you plan to go with WordPress? * Content Management System (CMS) is a computer program that allows publishing, editing and modifying content on a website as well as maintenance from a central interface. Such systems provide procedures to manage workflow in a collaborative environment.